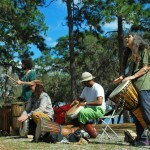 The 8th annual Florida Herbal Conference is a gathering to connect and empower our bioregional herbalist community, featuring over 30 workshops for all levels of interest and experience, alongside inspiring music, nutritious food, and herbal artisans, all in a beautiful lakeside setting. Workshops focus on bioregional, earth-centered herbalism, with topics including clinical herbalism, herbal crafts, herbal tradition and history, medicine making, plant identification walks and many hands-on demonstrations. 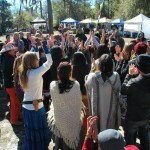 The weekend also includes a marketplace of herbal vendors, musical activities each evening, fun herbal activities during free time, guided movement activities throughout the weekend, a powerful fire circle, and regional mixers. 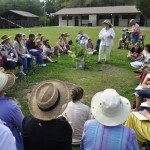 The Florida Herbal Conference is intended to provide a weekend for herbal enthusiasts of our southern state to learn from each other, wise teachers, and the plants themselves; to build relationships with herbal sisters and brothers from the region; and to get grounded in their herbal practice through education, fellowship, and community in nature. Enjoy three days of classes and hands-on workshops taught by some of the most knowledgeable and inspiring teachers in Florida. Meet your regional neighbors and build networking and relationships. Enjoy time on the beautiful Tiger Lake or on a plant hike, or take a movement class to get grounded and centered in your own healing. With a focus on the healing flora of Florida, our conference seeks to not only educate but to advocate for the conservation and preservation of our bioregional ecology. Together, we gather to begin the process of healing ourselves and each other as we also heal the planet. 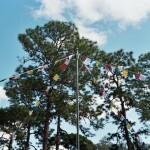 The Florida Herbal Conference is presented by the Florida School of Holistic Living and Leaves and Roots.